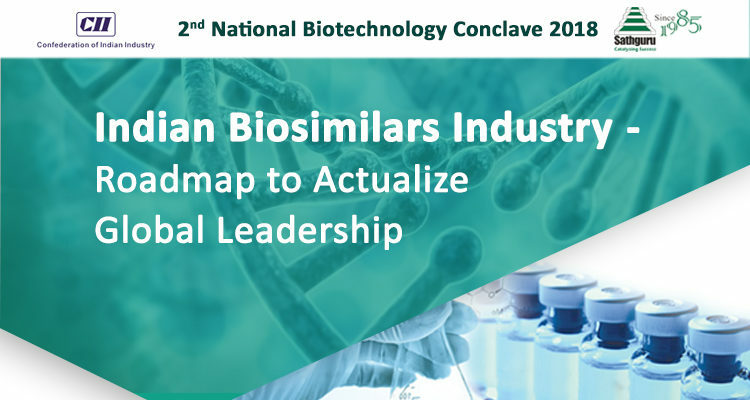 The Confederation of Indian Industry (CII) & Sathguru Management Consultants released a position paper on Indian Biosimilars Industry – “Indian Biosimilars Industry: Roadmap to Actualize Global Leadership” at the 2nd National Biotechnology Conclave 2018 organised by CII in Delhi on the 22nd November 2018. Biosimilars present a very attractive opportunity for Indian pharma companies going beyond small molecule generics ridden with intense competition and price pressures. With record number of domestic approvals, active engagement in semi-regulated markets and growing footprint in regulated markets, the Indian biosimilar industry is poised at the cusp of growth. There are about 70 biosimilars approved in the country today. At this juncture, it is imperative to nurture the vibrant industry landscape and support the industry in value realization. The position paper points to major challenges to combat to secure a sustainable future for Indian-made biosimilars. Suggestions cover critical elements on expanding size of domestic markets, simplifying market access for other RoW markets, strengthening the upstream technology backbone and encouraging collaborations for regulated markets.